Kerala Chief Minister Shri. Pinarayi Vijayan on February 9, 2019 inaugurated the first phase of Institute of Advanced Virology (IAV) in Thiruvananthapuram. Institute of Advanced Virology is located at the Bio 360 Life Sciences Park, Thonnakkal Thiruvananthapuram. It is entrusted with the task of research, diagnose and manage the emerging and re-emerging infectious viral diseases, focussing on the Kerala scenario. The institute can confirm the viruses causing infectious diseases and detect new ones without delay in order to plan preventive measures. It will function under the guidance of Kerala State Council for Science, Technology & Environment (KSCSTE). Institute of Advanced Virology (IAV) will be the first institute in the country to be linked with Global Virus Network (GVN), a coalition of world’s leading virologists. Initially, the institute will be linked to a European centre (one in Karolinska Institute) and an Asian Centre (one in Japan) as an affiliate until IAV becomes a full-fledged centre. These two institutes will train and guide the faculty and physicians in IAV. Under their training, the institute to grow within two years as a centre of excellence. The institute is equipped with bio-safety level-3 facilities adhering to international standards to detect virus and research programs. It will be raised to bio-safety level-4 later. A bio-safety level is a set of safety precautions required to isolate dangerous biological agents (such as bacteria or virus) in an enclosed laboratory facility to prevent the risk of its exposure to the outside world. The levels of containment range from the lowest bio-safety level 1 (BSL-1) to the highest at level 4 (BSL-4). Phase-I Setting up world-class labs to diagnose viral infections common in India. Phase-IV Training will be given to medical doctors as clinical virologists so that they can detect and treat diseases efficiently. Kerala is witnessing a sudden spurt in rare communicable diseases, all of them caused by viruses. The project report submitted by the Kerala State Council for Science, Technology and Environment (KSCSTE) notes that Kerala had witnessed several outbreaks of viral infections in recent years including dengue fever, mumps, measles, HFMD (hand-foot-and-mouth disease), KFD (Kyasanur forest disease), chicken pox, and H1N1 infection. The Zika virus and the yellow fever virus are also considered a looming threat to the State. Though labs in state have facilities to identify dengue and leptospirosis virus, samples must be sent to labs in Bengaluru and Pune to test suspected H1N1, Chikungunya and Nipah cases. The institute was announced after the outbreak of the Nipah virus in the state in May last year. 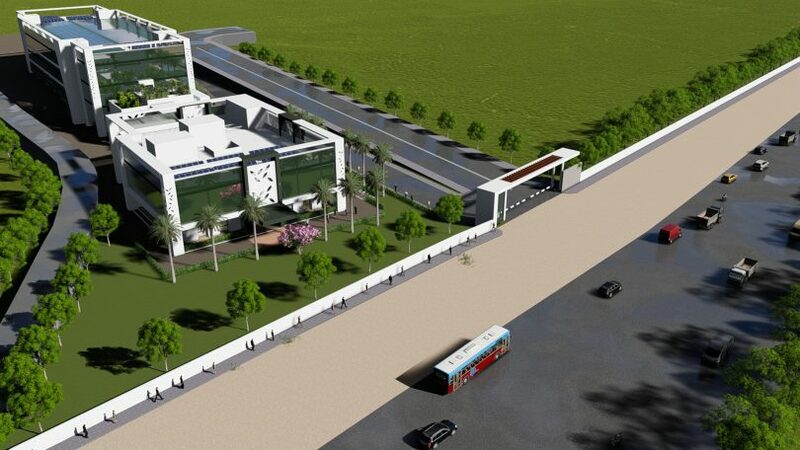 The foundation stone for the institute was laid on May 30, 2018 and 28,000 sq ft building was completed by January 2019. Once it is completed, it will have 1 lakh sq ft facility with international standards. The Nipah virus outbreak was one of the largest crises the health care department of Kerala has faced in 2018. Viral disease claimed the lives of 17 people – 14 in Kozhikode district and three in neighbouring Malappuram since its outbreak. Though the outbreak was controlled by timely intervention of the government machinery, it also exposed major flaws in the system. The state had to seek the help of the Manipal Virology Institute to identify and detect the nature of the virus. This took more than a week’s time, resulting in the spread of the virus to other areas. The health department had assessed that the causality numbers could have been brought down had the virus been detected much earlier. According to World Health Organization, Nipah virus is a zoonotic virus (it is transmitted from animals to humans) and can also be transmitted through contaminated food or directly between people. The natural host of the virus is fruit bats belonging to the family Pteropodidae. 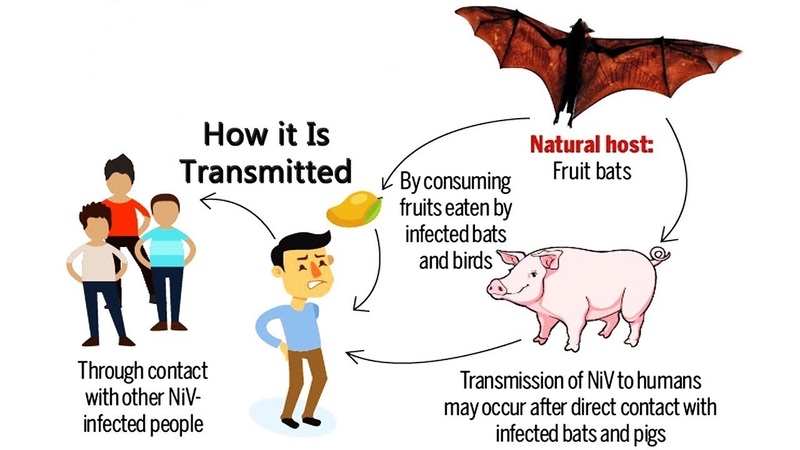 Nipah virus can be transmitted to humans from animals (such as bats or pigs), or contaminated foods and can also be transmitted directly from human-to-human. The virus is highly contagious in pigs. There is no treatment or vaccine available for either people or animals. The primary treatment for humans is supportive care. Nipah has a mortality rate of 75%. The virus was first identified during an outbreak of disease that took place in Kampung Sungai Nipah, Malaysia in 1998. The virus is named after this village. NiV was first recognized in India and Bangladesh in 2001; since then, nearly annual outbreaks have occurred in Bangladesh. The disease has been identified periodically in eastern India. The Global Virus Network (GVN) is an international coalition of medical virologists spanning more than 20 countries worldwide. It was co-founded in 2011 by Robert Gallo, William Hall and Reinhard Kurth. It is headquartered at the Institute of Human Virology at the University of Maryland School Of Medicine in the USA. The GVN is a coalition of leading virologists researching in the field of virology and to develop drugs and vaccines to prevent illness and death. No single institution in the world has expertise in all viral areas. GVN brings the best medical virologists together to leverage individual strengths and to focus global teams of scientists on key scientific problem. Global Virus Network has 45 centres of excellence in over 29 countries.